The game could be changing for daily fantasy sports companies DraftKings and FanDuel. In a landmark ruling Monday, the U.S. Supreme Court struck down a 1992 federal law that prohibited most states from authorizing betting on college and professional sports. The court’s decision paves the way for states to legalize sports gambling, and daily fantasy sports companies want in. New York-based FanDuel said the court’s decision “creates an enormous opportunity” for the company, according to a statement reported by Fortune. Meanwhile, in anticipation of the ruling, Boston-based DraftKings has spent several months developing digital products that would enable people to place sports wagers, CEO Jason Robins told Xconomy in March. “Our mission has always been to bring fans closer to the sports they love and now, thanks to the wisdom of the Supreme Court, DraftKings will be able to harness our proven technology to provide our customers with innovative online sports betting products,” Robins (pictured above) said in a prepared statement after the court ruling was published. It’s an ironic development for companies that for years have argued that their main product is not a form of gambling. In these short-term contests, users pay a fee to play against millions of opponents and potentially win large sums of money. Users draft a custom lineup of players and earn points based on how well those players perform. DraftKings and FanDuel have relied on an exemption in a 2006 federal law that banned online poker but allowed fantasy sports, which were categorized as games of skill and not chance, and therefore don’t fall under the purview of gambling laws. 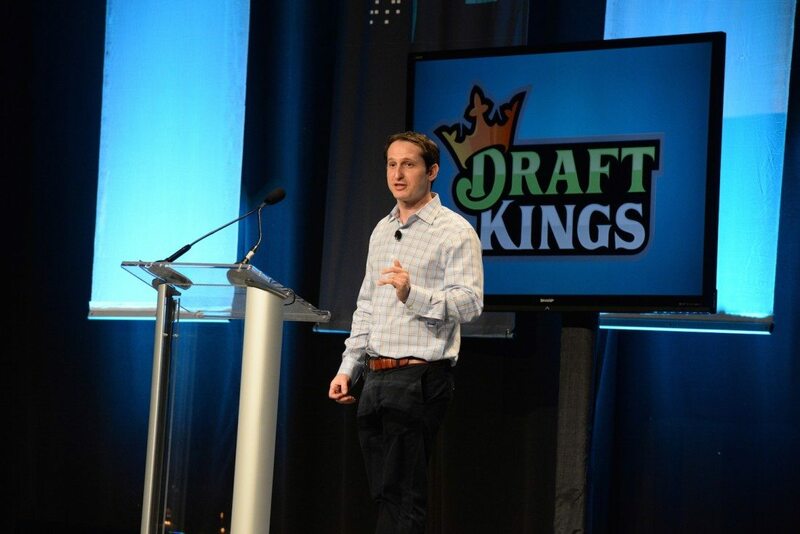 DraftKings said daily fantasy sports products will remain a focus for its business, even as it prepares to apply for licenses to operate a sports betting platform in states that have already passed legislation authorizing it.